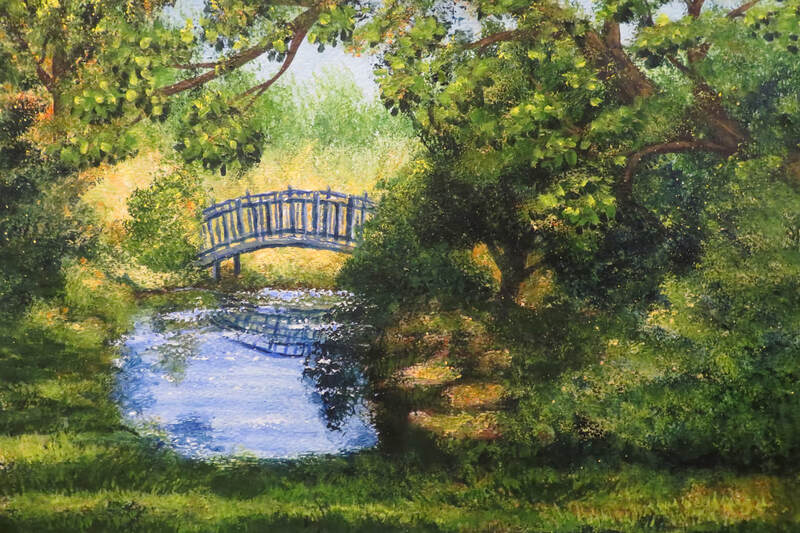 "Jane's Hideaway" was painted after a photo visit to my friend's home. She lives in the country, not too far from my home, and her property is filled with amazing views just waiting to be painted. 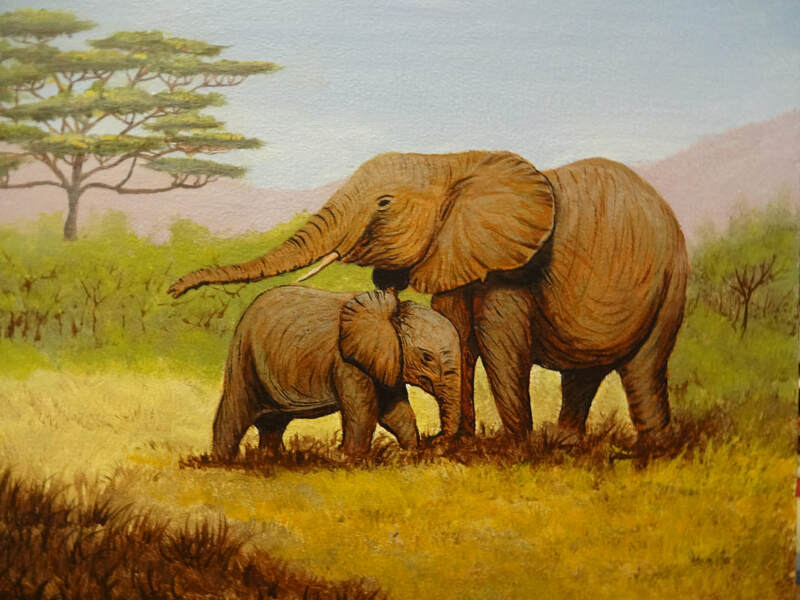 For "Mother & Child", I must tell you I enjoy painting animals (these were in the San Diego Zoo). 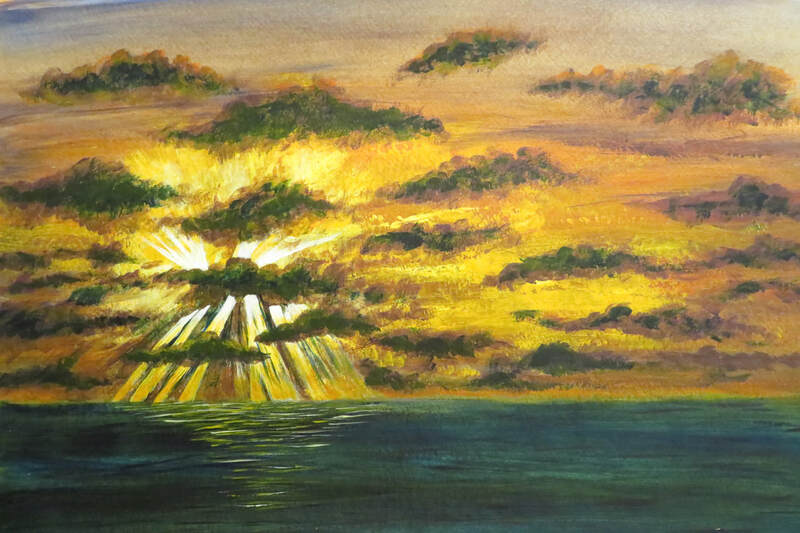 I used my "artist license" with the African trees (which were not in San Diego). 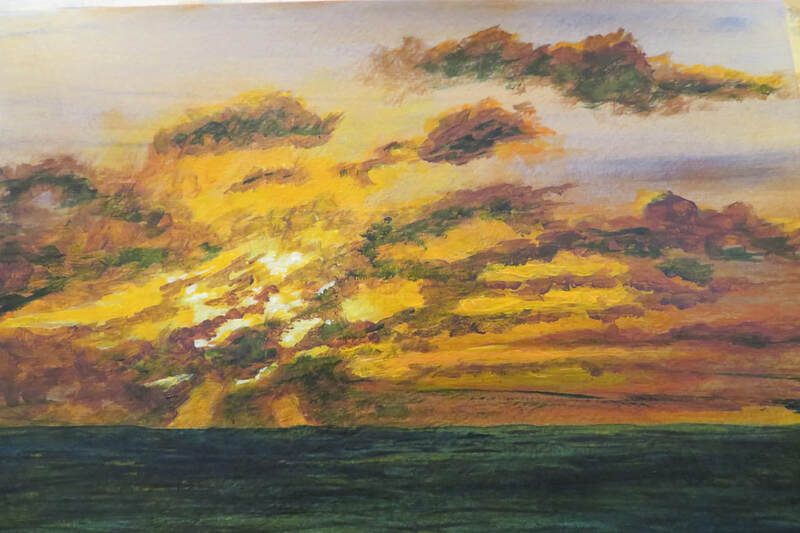 After a trip to the Amazon, I painted this "Amazonian Sunrise" and "Amazonian Sunset". 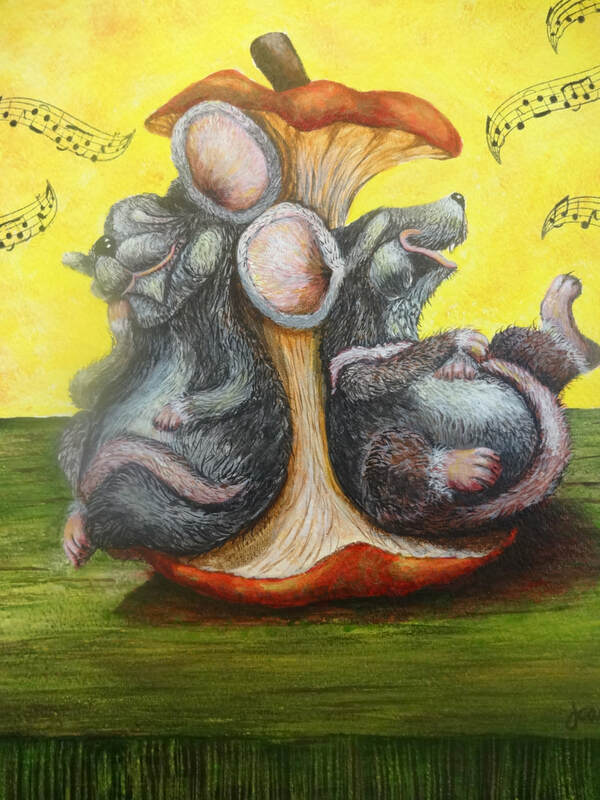 For "The Art of Jazz" contest I painted "We All Enjoy Good Music". This "Double Tiger Lily" lives in my back yard; as well as the "Monarch Butterfly". "We All Enjoy good Music"
After a trip WEST, I fell in love with the beauty of the Badlands, Yellowstone, and all of South Dakota and Wyoming . This Peony lives in my back yard. I made it many times larger than it really was! 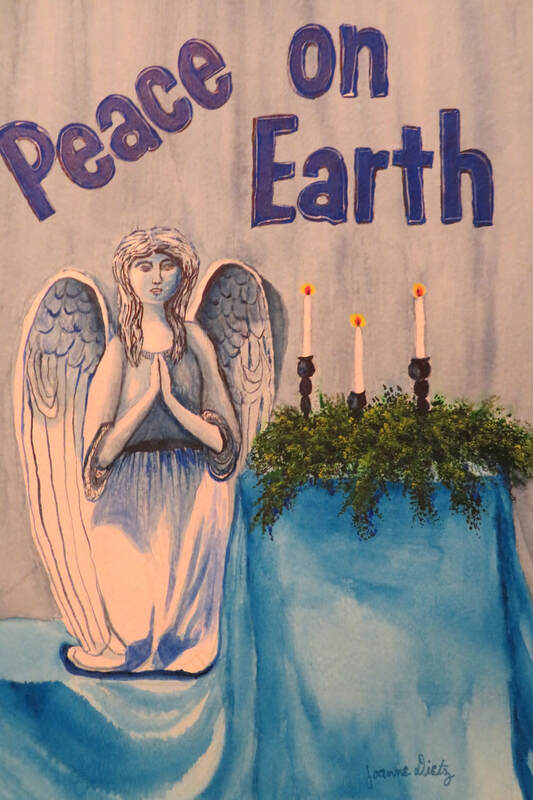 The Peace on Earth painting grew out of a lovely cement angel I found and purchased, she looked so peaceful; I just had to paint her. 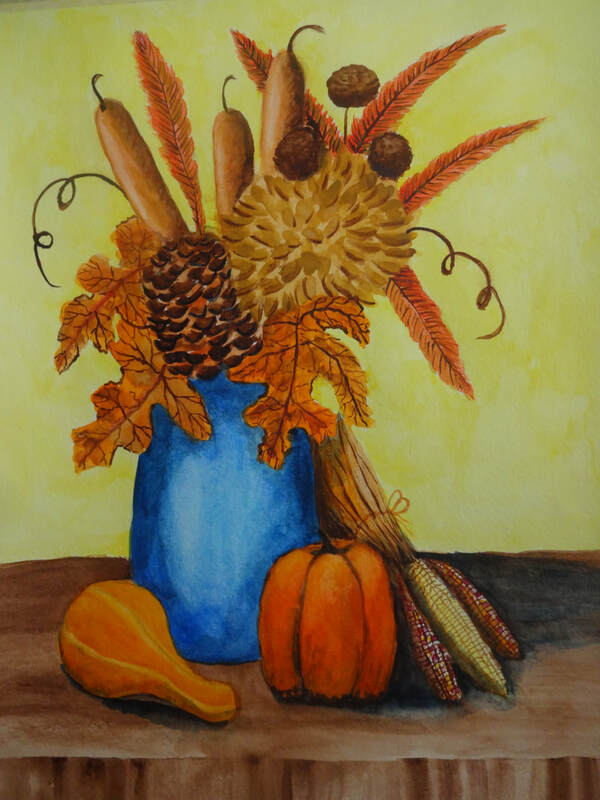 Fall things was a floral arrangement I put together for a Yocum session. 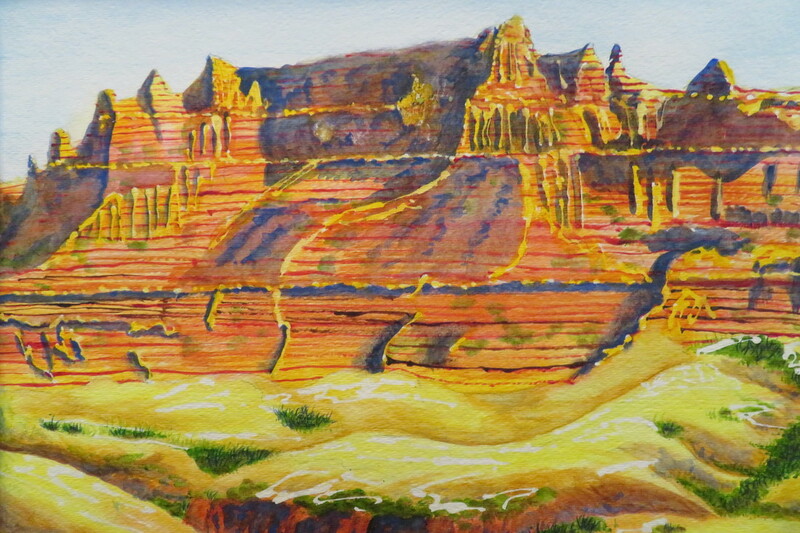 "The Grand Teton Mountain Range"
"Fresh Veggies and Fruits". This was a team effort at the Yocum. 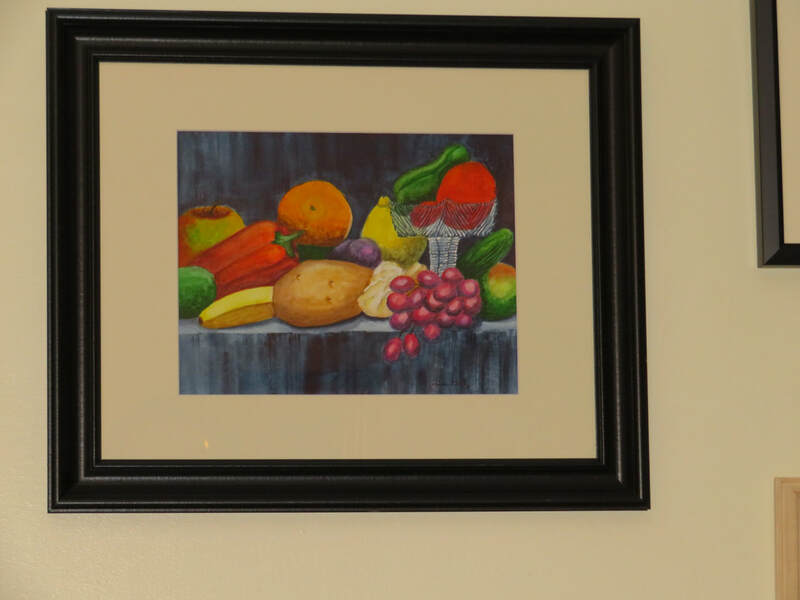 A bunch of artists brought in the fruits and veggies they had on hand and then we just set up the arrangement and painted it! 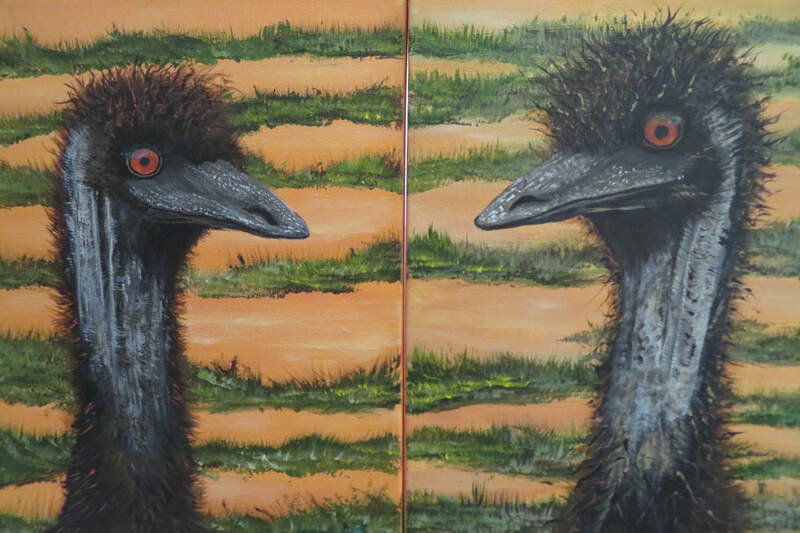 Paintings in various "OTHER" mediums. 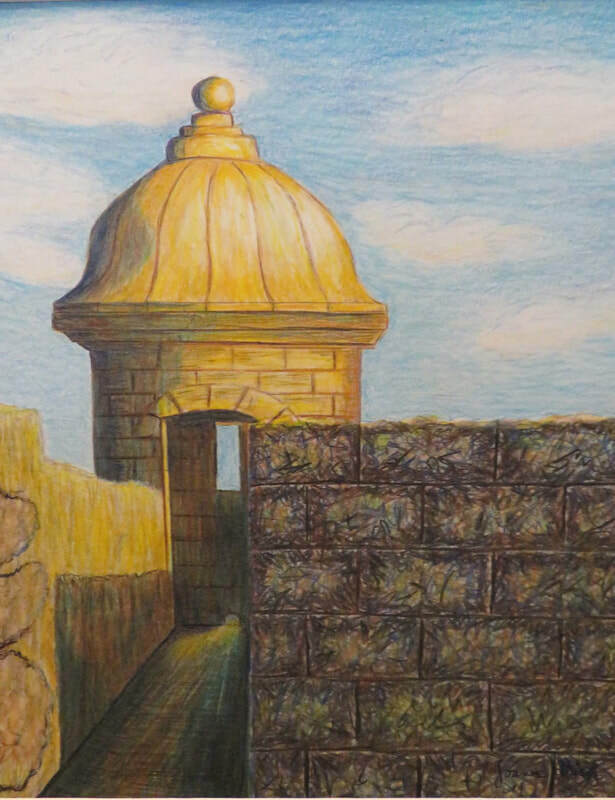 The "Fort in Puerto Rico" was done in colored pencils. 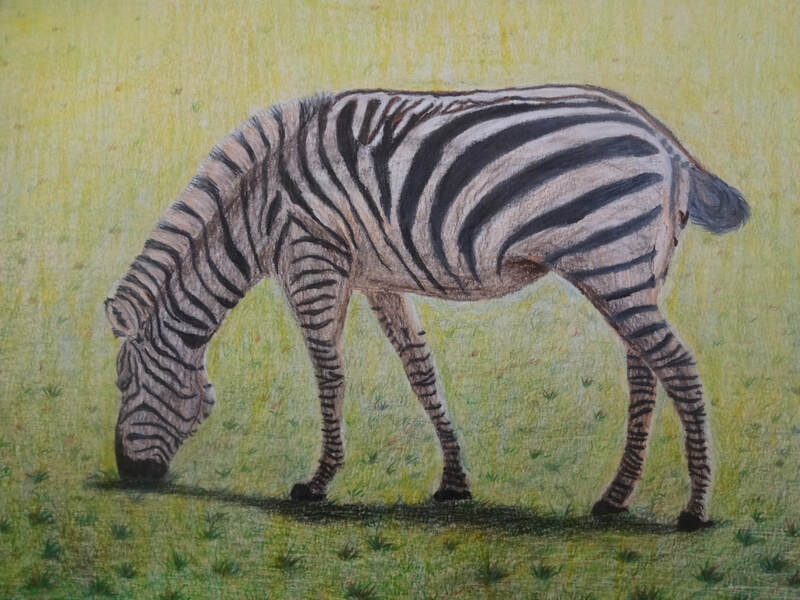 "Zebra from Lake Tobias" was also done with colored pencils . 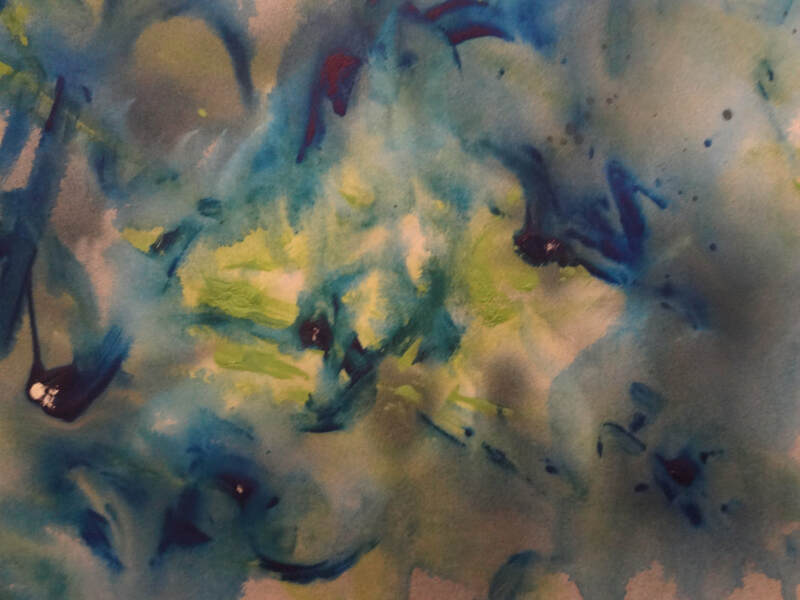 "Lime green with Blue Fusion" was made with alcohol ink. 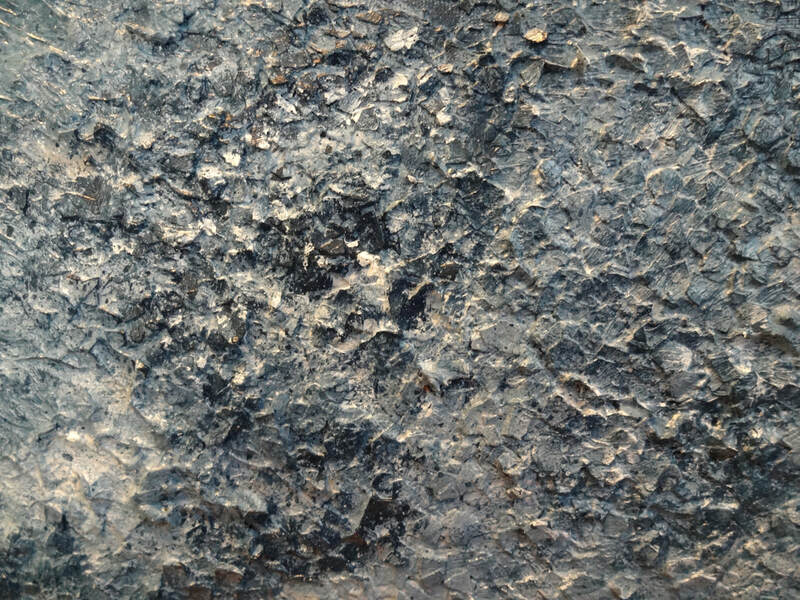 "Shade of Blue" was created with egg shells and acrylic paint! 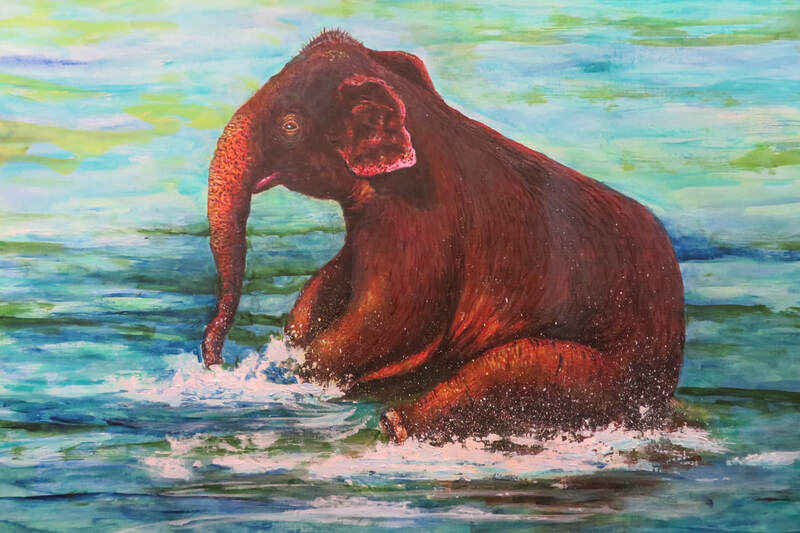 "Mommy Panda" was another watercolor. 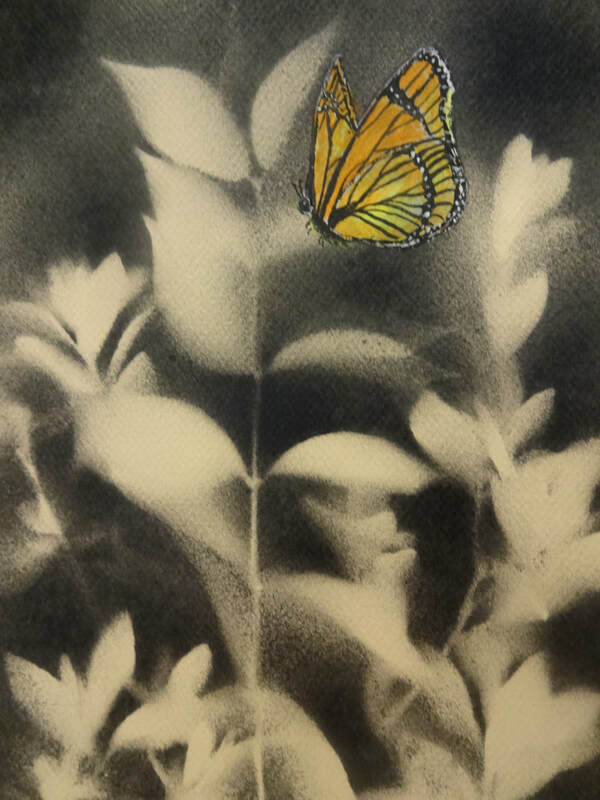 And "Pink Hibiscus" was a "saved" painting. 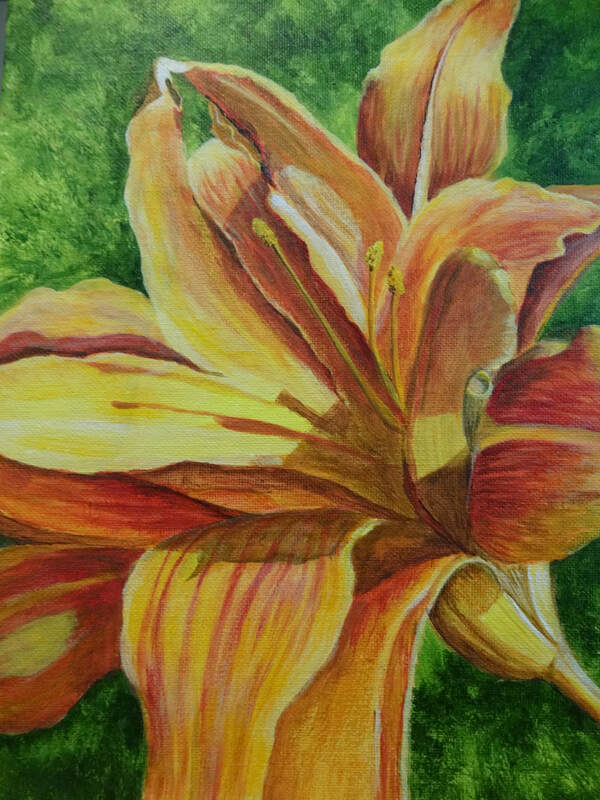 I painted the hibiscus OVER another failed painting.